Join for free and discover the discounts, offers, specials, and points you’ll receive from klosebuy. Build your neighborhood of favorite businesses. Save their deals, earn more points, and reward yourself. Earning points is easy. 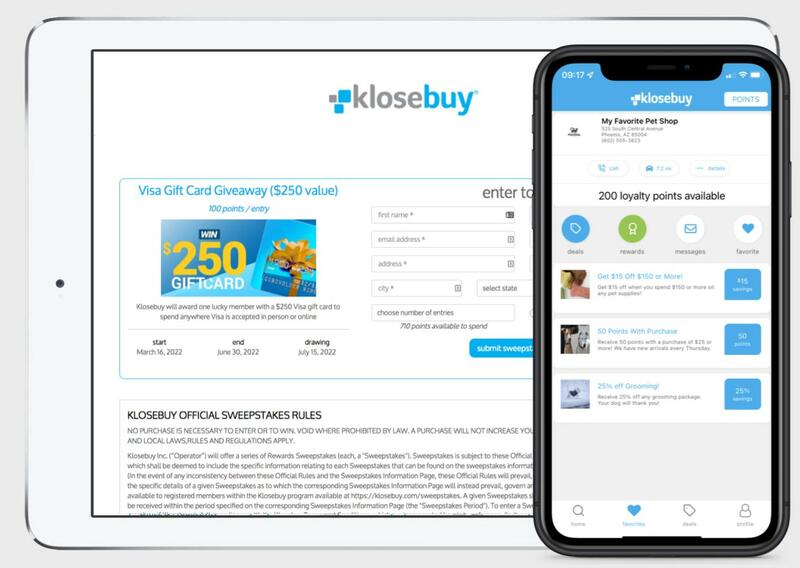 Automatically earn points for joining klosebuy, following businesses, and referring friends. Collect more points from your favorite businesses on your birthday, through deals, and special events. Find deals now and save them. When you’re ready, show the deal from your phone. That’s it! Spend points for rewards from your favorite businesses, or use them in our rewards catalog that includes thousands of products. Want to take a chance? Enter our sweepstakes. Keep an eye out… you could win gift cards, select items from our catalog, and even a vacation package! Download our mobile app to view, save, and share your favorite businesses and their promotions. 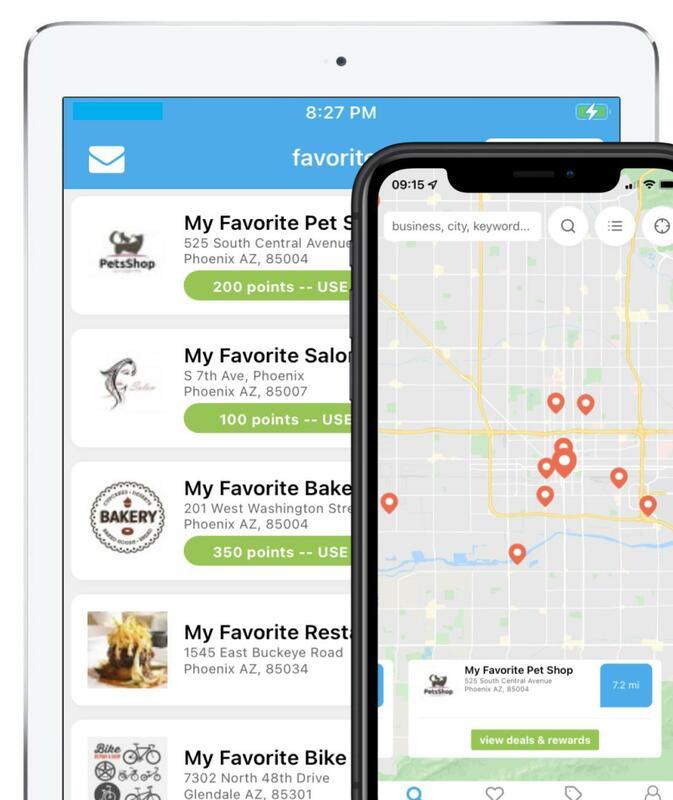 Track your points, enter award certificates, and spend your points at your favorite businesses or in our rewards catalog – all from the app.